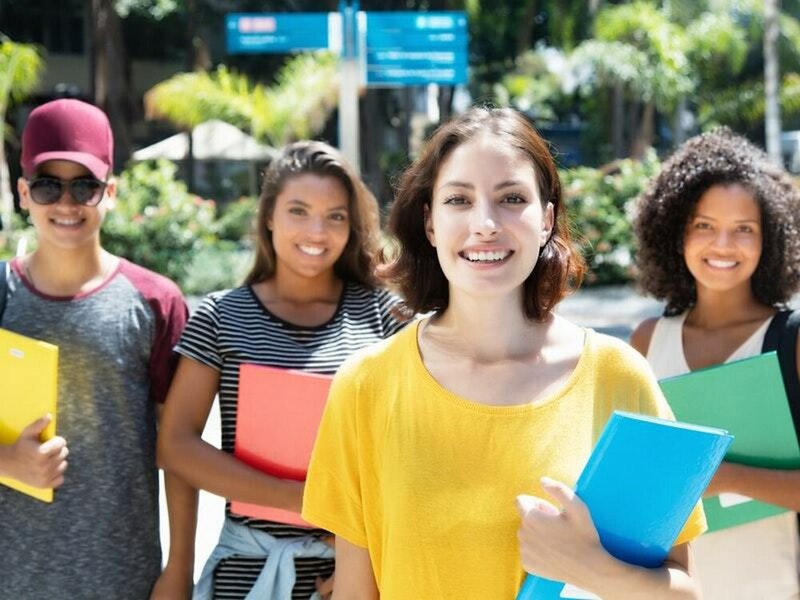 When a student missed a lecture, she hoped one of her classmates would be able to help her out and bring her up to speed. 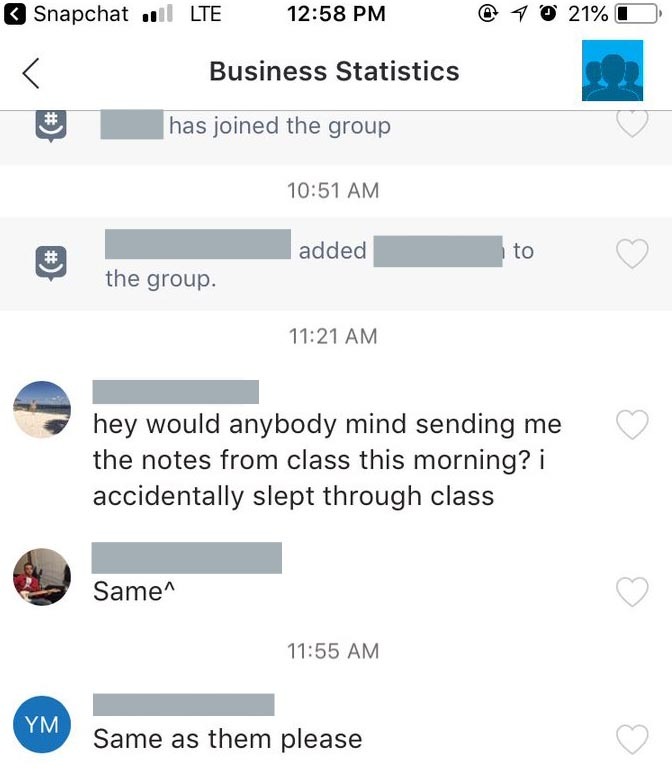 Luckily the class has a group chat so the student, whose name we’ve blanked out, explained she had “slept through class” and needed the notes, with other students confessing they missed the class too. It was what happened next which catapulted the messages to internet gold. 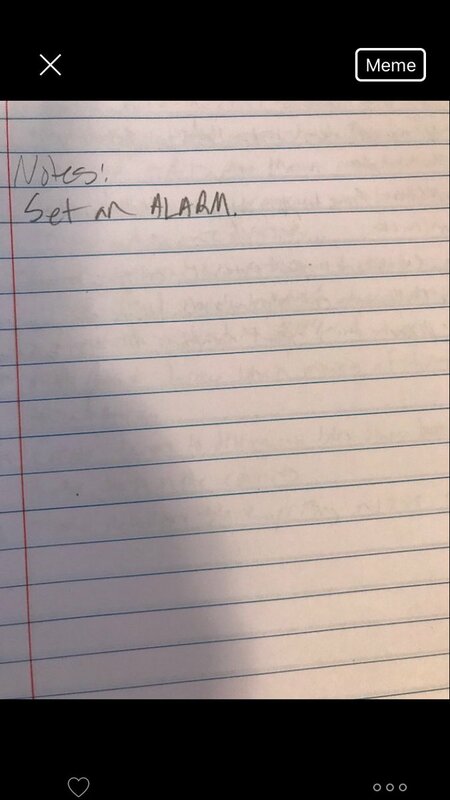 Classmate Ethan shared a version of the notes in the group chat as a no-nonsense statement: “Notes: Set an ALARM”. The exchange was captured by another classmate, Jordan Marshall who posted screengrabs on Twitter writing: “Ethan isn’t playing around this semester”. It has been liked and shared more than 70,000 thousands times as it struck a chord with students past and present. The missed class was business statistics at Texas State University in San Marcos. One account proclaiming to be “Ethan” had a business lesson of his own to offer students who miss classes. Elsewhere on social media, people were backing Ethan’s stance, and laughing at how they were like him too.